Getting rid of your dog’s ticks isn’t all that complicated if you stick to a simple set of measures. Sometimes, it is a better idea to be safe than sorry, which is why you might want to use shampoos, powders, and spot-on solutions on a regular basis even if you are feeling unsure as to whether or not your dog has fleas and ticks. Depending on the substances that the tick product is made of, you can use it every two weeks or so, as is the case with some natural shampoos, or every month. If, however, you’d prefer treating your dog after the tick infestation has happened, which is something that we do not condone, here are some tips on how you can tell that your pup has any ticks at all. It goes without saying that the simplest way of finding out if your dog is suffering from a tick infestation is to actually see one in his or her fur. 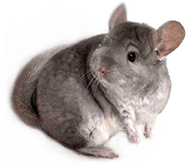 Unfortunately, this is hardly possible in the case of some breeds such as Chow Chow, Pomeranian, Bearded Collie, Newfoundland, Poodle, and any other whose coat is very fluffy and sizeable. You’ll have to run your hands on the dog’s neck and armpits once in a while. If you regularly play with your dog, you’re probably doing that already and without thinking about any ticks at all. What dog doesn’t love being scratched under the ears? You don’t have to turn play into a serious examination. You just have to touch and see as accurately as possible. Of course, if you do stumble upon one tick in one area, it definitely wouldn’t hurt if you took the time to check the rest of the body. Sometimes, the infestation can be so severe that you might end up finding over twenty ticks or more. A dog in this condition needs to go to the vet’s office right away as he or she might be carrying tick-borne diseases that could endanger his or her health or even his or her life. If you accidentally step on a tick on the floor of your home or in your yard, it’s safe to say that their season is in bloom. So, even if you take the time to check your dog and he or she is lucky enough not to have any ticks, it would definitely pay off if you were to compare tick treatments for dogs and get one as fast as possible. 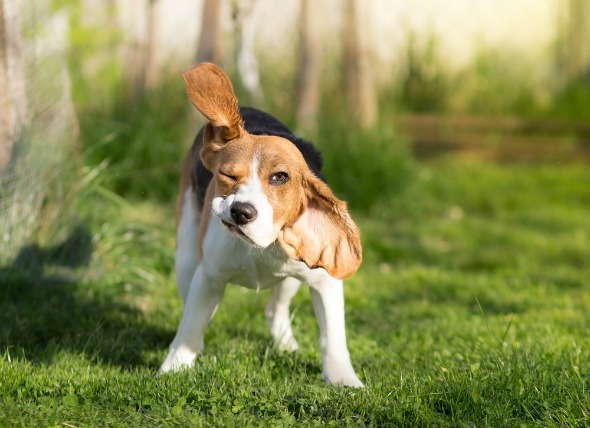 In many cases, flea and tick drops will come with an insecticide that penetrates the skin of the doggy and remains there for a variable amount of time, depending on the product. This pesticide is usually potent enough to act as a repellent against ticks and fleas. 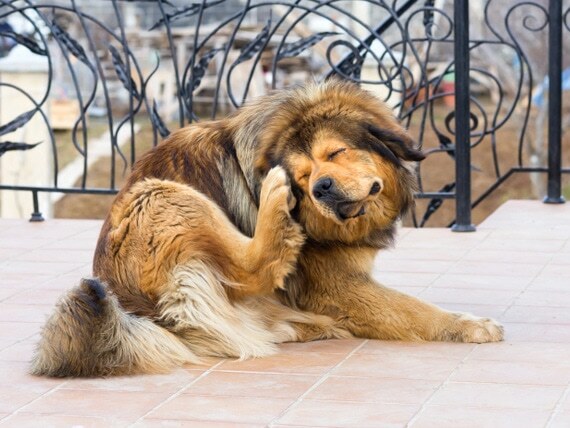 Finally, there’s a good chance of your dog developing something called otitis, also known as an ear infection. Ticks prefer moist and dark places that are out of reach, and so they can hide in the ear canal and cause pain, inflammation, and a lot of itching. Often times, the ear infection shows up not only because of the tick’s activity but also because the dog scratches the ear continuously.